Barcelona were reportedly amongst a whole host of European giants who kept a close eye on Joao Felix and Luka Jovic on Thursday night. The two talented youngsters were in action in the Europa League as Benfica took on Eintracht Frankfurt, with Felix bagging a hat-trick in a 4-2 win for the Portuguese giants, although Jovic was also on target for the visitors. In turn, they certainly didn’t disappoint, as Mundo Deportivo report that Barcelona sent a club official to the game to keep an eye on those two in particular, although it’s added that the likes of Man Utd, Juventus, Inter, Bayern, Chelsea, Tottenham and Arsenal all had representatives their too. 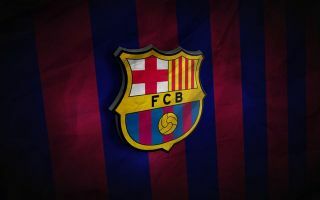 In turn, should the Catalan giants choose to solidify their interest in either of the starlets, they could face significant competition for their respective signatures. Felix, 19, has been in fine form this season, scoring 15 goals and providing seven assists in 36 appearances across both youth and senior level. As for Jovic, 21, he’s now bagged 25 goals and seven assists in 39 outings, and so it’s clear to see that both of these young players potentially have a very bright future ahead of them. However, signing them won’t be cheap as ESPN have previously reported that Felix currently has a €120m release clause in his current contract, which could even go up if he agrees to a new deal with Benfica. Meanwhile, The Guardian have previously suggested that Barcelona could launch a €50m to sign Jovic, taking the total of such a double swoop to a whopping €170m. Given Barcelona are already set to splash out €75m+ on Ajax midfielder Frenkie de Jong, as per BBC Sport, it has to be questioned as to whether or not they genuinely have a transfer budget which would allow them to sign all three starlets this summer. The likelihood is that they don’t given the touted fees involved, but it would certainly help them build an exciting long-term plan at the Nou Camp by signing three of the most sought-after starlets in Europe in one big swoop.